Today was the first day in a while that we didn’t wake up to rain. The sun was bright and shining! Many of the girls had previously thought about attending undergraduate or graduate school outside of Liberia in order to pursue their major. Some commented on the difference in access to internet and others believed there would be similarities in the curriculum. After this discussion, Xiaohang shared some advice on overcoming these struggles along with language barriers, making friends, homesickness, and culture shock. Then Xiaohang shared her experiences with going to the University of Michigan and how she has learned to accept all of the cultural differences and embrace them. After this session, we had practice presentations for the case study. This gave each group a chance to practice presenting and get valuable feedback on their presentation as they continued to work on them. It was nice to see the creative ideas that each group came up with to solve the energy problem in Liberia. From the same problem, there were many different solutions ranging from hydroelectric power to fruit power. Due to the length of presentations, we ate lunch an hour later than usual, so everyone was hungry for cassava greens. After lunch, we set up the room for the engineering activity on making FM radios. Melinda led this workshop with careful instruction on how to solder and emphasizing the safety of using soldering irons. After a while, everyone seemed to get the hang of it. In the evening, Lauren, Chris, Melinda, and Xiaohang then went around to all of the apartments to meet with teams, going over their presentations and make sure everyone was on track to present on Thursday morning. This got everyone working hard on their presentations late into the night. We all spent time and energy preparing for the final presentations to come on Thursday! The second week of the camp start with more of the same – continuous rain. The morning session was given by Courtney, with a topic about a case study about renewable energy that she had done in University of New South Wales in Australia. She presented a proposal making use of wind energy in California, explaining a whole procedure including introduction, design, literature review, analysis and conclusions. Courtney’s proposal gave the students a really professional example of the structure, the content and how to give an excellent presentation. After Courtney’s presentation, students should have had a better vision of what they need to do for their own case study and how to present it. So it is the best time for them to continue work on the case study and their presentation. After lunch, the highlight of today happened – the egg drop final competition! The six egg drop teams gathered at the corridor on the third floor of the dorm. We distributed one raw egg to each team. The competition had two parts. The first part was to drop the egg aircrafts one by one. The second part of the competition was to drop the egg aircrafts together. The winner will be the team with the longest flying time aircrafts – longer air time means a lighter landing, and hopefully a secured egg! With much laughter, frantic changes, and good spirited competition, the teams drop their aircrafts on the count of 3. Except for one team, all eggs remained in tact and first place went to the slowest aircraft to touch the ground. Everyone had planned to give the first presentations after dinner, but due to the interruption of power supply, we moved the first presentations to Tuesday morning. It might be a good news for the teams because the power interruption gave more time for them to prepare. Looking forward to their presentations tomorrow! We made the most of our first Saturday in Liberia, heading off early to explore downtown Monrovia. Our first stop was the Grand Royal Hotel for brunch, and to pick up a few SIM cards for our phones. After brunch, we stopped by a few of Melinda’s favorite stores—Mango Rags and Bosh Bosh—for colorful clothes, bags, and other gifts to bring home for friends and family. Melinda is the leader of our UM team and this is her 4th trip to Liberia with UM-SWE, so she of course did a wonderful job showing us around Monrovia. After a quick KeKe ride through town, we were soon back in the car winding our way up Ducor Hill. When we reached the top of the Ducor Hill, a massive dilapidated building came into view. We made our way through the light drizzle of rain, to the front entrance of the Ducor Palace Hotel, and began climbing up the central staircase. As I made my way up to the top floor of the old building, I peered down long hallways through the skeletal framework of rooms, imagining how the hotel looked before it was destroyed during the Liberian Civil War. The luxurious five star hotel opened in 1960, and hosted many important meetings with leaders from all over Africa. As we exited the eerie ruins of the once great Ducor hotel, the rain started pouring down, so we rushed to the car and headed to our final stop of the day: the beach! We arrived at a restaurant called Golden Beach, and ordered a round of fresh coconuts before walking down to the water, to take in the fresh sea air and beautiful coastline. On Sunday morning, we met the LSWE students at breakfast before heading to church. Quinn had invited us along with her to an Episcopalian service at the Church of the Good Shepherd in Paynesville, not too far from campus. This was one of the highlights of the trip for me, as my great grandfather came to Liberia about 60 years ago as an Architect for the Episcopalian Church. The sermon, hymns, interior and exterior design, and welcoming demeanor of the congregation reminded me of home, and it seemed unbelievable that I was in fact on the other side of the world. After church we returned to campus, passing many people trekking through the flooded roads, selling everything from coke and fruit to shoes and flags in the crowded markets. For lunch we enjoyed chicken and fish in a palm butter sauce, with shortbread. Everyone spent the remainder of the rainy Sunday afternoon hanging out in the apartments, listening to music, reading, doing laundry, beginning work on the case study, prepping for sessions, and resting up for Week #2 of Camp! On Friday morning we awoke to a driving rainstorm. With water streaming across the paths through campus, our morning run group was once again forced to settle for an abbreviated indoor workout. Braving the water in our fashionable ponchos, we arrived at the dining hall to the warm welcome of oatmeal, eggs, and coffee. Our morning session had a minor rain delay, but after a quick human knot challenge to get us moving, and taking several moments to reflect on some interesting highlights from Augustus’ talk about the future of renewable energy in Liberia, everyone was ready for Day #4 of the LSWE SUCCESS camp to begin. I led the morning seminar about Professional Development and Business Etiquette. Everyone rehearsed elevator pitches with partners and several students jumped up to present to the group. All participants were eager—in this activity, as in every other—to give and receive candid feedback. This straightforward form of communication has been a noticeable characteristic of the LSWE team, ever since I met several representatives from their leadership team at the 2016 SWE National Conference in Philadelphia. 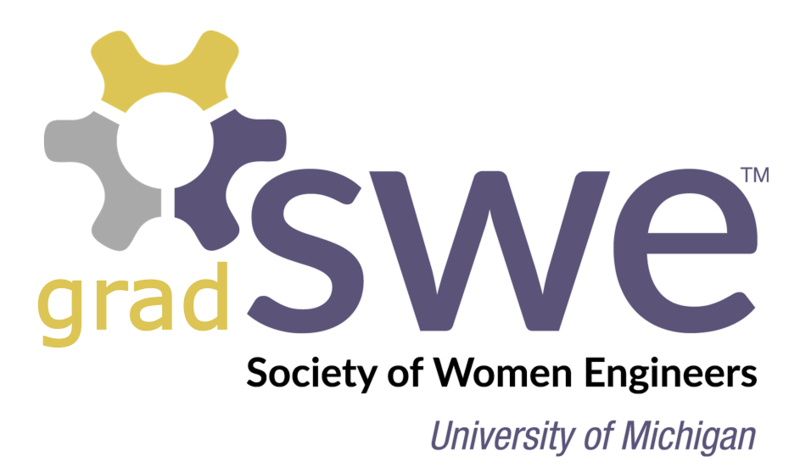 The LSWE members have been open to sharing their expectations for the camp and stories about how their individual LSWE experiences have enhanced their STEM education, professional career, and personal lives. The LSWE students have also expressed their interest in our lives back in the United States, both at school in Ann Arbor, and of our respective homes in China, Florida, Tennessee, New Mexico, California, and Michigan. These conversations with the LSWE students have inspired many conversations between the UofM team, as we have shared our academic and extracurricular experiences, as well as our aspirations to change the world in fields such as solar energy, autonomous vehicles, biomedical devices, drug discovery, structural engineering, and athletic product development. It has been interesting to learn from so many Geology and Mining Engineering students in LSWE, two disciplines which are not offered at the University of Michigan. After lunch, we began constructing aircrafts for the egg drop challenge. With an arsenal of trash bags, cups, pipe-cleaners, straws, cotton balls, and more at our disposal, we were determined to protect the eggs from the plunge off the clock tower. While watching the test drops from the second level of classrooms; all of the air crafts looked promising, and should be fierce competitors at the official competition on Monday (Our money is on Team Scrambled Eggs though). Olivia and Angie build an aircraft for the Egg Drop Challenge. Rose, Bonyonoh, and Gilly use the given materials to create a cradle for their egg. We wrapped up our Friday evening with a lively dinner accompanied by a continuous loop of Rihanna + Drake’s Work music video. To celebrate a successful first week of camp, we then headed to downtown Monrovia, where several LSWE members showed us around several of their favorite spots! The evening view from our apartment window. Today we woke to the pitter patter of rain against the roof of our apartment: the first Liberian rainstorm of the trip. Courtney, Olivia, and I did our morning core exercises (nobody wanted to go for a run in the rain) before showering and making our way to the dining hall for a light breakfast of hard boiled eggs and cinnamon rolls. Lauren explaining how to give an effective presentation, effectively. We began the third day of camp with Lauren’s presentation on resumes and how to present using PowerPoint. Lauren is by far the most animated person of the UM students, and she did not disappoint today during her presentation. She happily demonstrated poor examples of presenting with a level of hilarity that rarely seen during dreaded PowerPoint presentations. The students were laughing and enjoying themselves despite a long morning of slides. Vegetable stew with spiced rice. Awaakeh and Rose enjoying lunch. Noon rolled around, and we ambled to the dining hall to fill up on Charlotte’s (our caterer) staple: piles of rice and well-seasoned, fried chicken and fish. We ate quickly and headed back earlier than usual so that we could prep the room and charge our computers in anticipation of our afternoon guest speaker. Many of the students showed up early, as we requested, so our speaker wouldn’t be waiting on us. Turns out he didn’t come right at 1:30pm so in the meantime, we participated in a team building activity. We broke into teams of 4-5 people and gathered our supplies: 20 pieces of spaghetti, a yard of tape, a yard of string, and one marshmallow. The goal: create the tallest free-standing structure that can support a marshmallow with the given supplies. I have done this activity back home a few times, as have the other UM students, but the Liberian students were in for a new experience. Somehow, all the groups ended up producing the same teepee-like structure. Arguments and laughter filled the air, and increased as Chris called out the passing minutes. My team practically gave up part-way through when we realized we needed a base for our structure, but we didn’t have enough spaghetti or time left to fix our mistake. Before we knew it – time was up! A chaotic round of yells and laughter immediately followed; all the teams except one had failed to keep the marshmallow aloft. The winning (and only successful) team! While we were working on our marshmallow activity, our guest speaker, Augustus Gonanue, the Executive Director of the Rural and Renewable Energy Agency (RREA), arrived. As soon as we finished cleaning up the smushed marshmallows and broken spaghetti, all eyes turned to the gentleman on stage. Augustus introduced himself and immediately thanked Melinda for inviting him back to his alma mater. Soon enough, he jumped into the main topic of his speech: the role that renewable energy has and will have in Liberia. Hearing from someone currently in the middle of the struggle towards addressing Liberia’s energy concerns was an incredible opportunity for the students considering that the renewable energy case study that will make up the majority of camp time next week. I am really excited to see what the teams come up with between now and our final presentations next Thursday. Energy is a major problem in Liberia, like many countries, including the US. If these young, motivated, bright female engineers recognize and understand the energy problem in Liberia, and additionally research and develop a solution to it, they will already be forward-thinkers in their field. It is one thing to look around and identify a problem in your community and country; it is a whole other thing to take the time and energy (pun intended) to identify a solution. The students asked tons of thoughtful questions once Augustus finished his talk. After the last student was satisfied with his response to her question, Augustus bid us goodbye. In the evening sunset was beautiful – brilliant oranges and pinks shining behind some straggling rain clouds. The night ended with a collaborative effort by the entire UM team to prep materials and ideas for the next day’s activities. The second day of camp began with remembering everyone’s names. Each person was responsible for stating everyone’s name that had gone before them before introducing themselves again and saying their own name. It became increasingly difficult, but made for healthy amounts of repetition leading to better name retention! Of course the room was filled with a lot of laughter at the slightest hesitation indicating a forgotten name. Some ideas about how to maintain membership. After brief introductions, the LSWE students spent the morning thinking about their organization: “How do you generate interest in LSWE?”, “How do you utilize members to their fullest potential?”, and “How do you retain membership over time?”. Gillian Minnehan, sophomore in Computer Science led this workshop by breaking students into groups to discuss each of the different questions. The students then shared their ideas for implementable ideas in each of the categories. The LSWE camp hosts both current and new members to the organization, so the ideas generated came from diverse perspectives. Chris explaining how a solar cell works! Have you ever made solar cells from berry juice? Probably not yet, but that’s exactly what we did this afternoon at the LSWE camp! There’s a molecule in raspberries, blackberries, and cherries, called anthocyanin, that absorbs light very well. We built a device that extracts electrons from the illuminated anthocyanin in the berries to create current or electricity. But you won’t find many fresh anthocyanin-rich berries in tropical places like Liberia. You’ll mostly find juicy pineapples and sweet plantains like the ones we had at breakfast and lunch. Christian Greenhill, Ph.D. student in materials science and electrical engineering, managed to smuggle frozen blackberries wrapped in aluminum foil in an insulated lunch box with two ice packs into the tropics. We learned about renewable energy, solar technology and everyone built their own solar cells. We had fun measuring the voltages. Our highest voltage indoors (not in direct sunlight) was 358 mV from a 2x2cm cell – pretty impressive. Melinda observing the solar cell creation. Harriet testing conductivity with Olivia. Courtney building her cell alongside Christine and Fati. After a long day of organization development and hands-on engineering, all the students – UM and LSWE alike – retreated to the dining hall for a scrumptious ending to the day including sauteed chicken or fish with vegetables and fried plantains. The UM team spent the evening all together prepping for the next day at camp – packing supplies, finalizing presentations, and discussing our progress so far! We are excited to see what’s in store next.